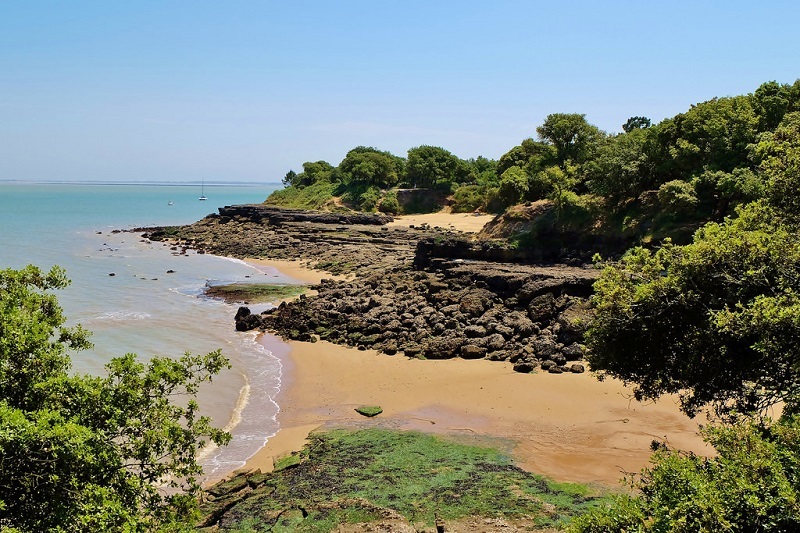 A short boat ride away from Camping Domaine d’Oleron is the island of Île-d’Aix , a small island located between Ile d’Oleron and La Rochelle. After seeing Fort Boyard a lot of the tour boats continue onto the car free island of Île-d’Aix, which is a great place to spend the day. It is a really picturesque island and spending the day on the here is like going back in time! There are only 223 full time residents on the island and the best way to see the island and the beautiful beaches in a day is to hire bikes from one of the bike hire shops or alternatively you can take a tour on one of the horse drawn carriages. The island has seen quite a few historic battles and you can see many of the fortifications left over from the wars on the island. 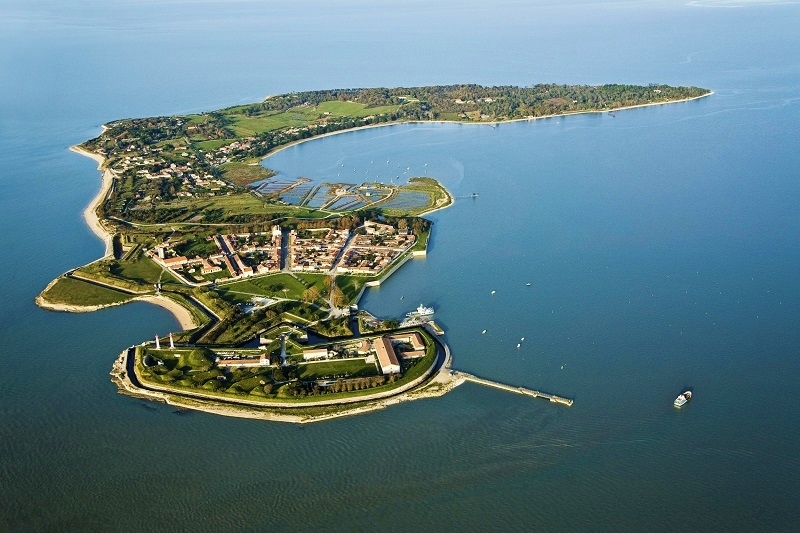 At the end of the 12th Century France and England fought over the island and Ile d’Aix was occupied by the British for around fifteen years. During the 16th Century there was a number of forts built on the island. In 1757 the British made an attempt to invade Rochefort and captured the island again (realizing its significant importance) however withdrew several weeks later when they had no success with capturing Rochefort. 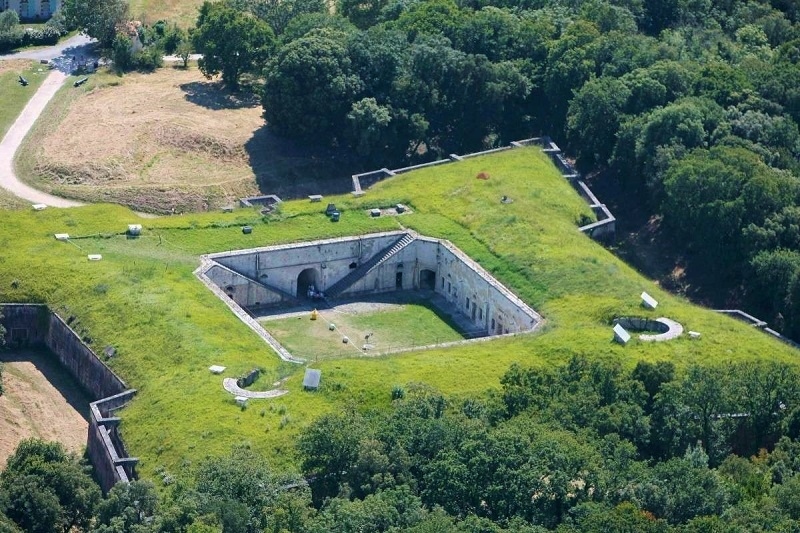 In 1808 Napoleon visited the island and ordered the construction of Fort Liedot. You can still see it today on the island and wander around it. The fort functioned as a prison from the 19th Century up until the 1960s. 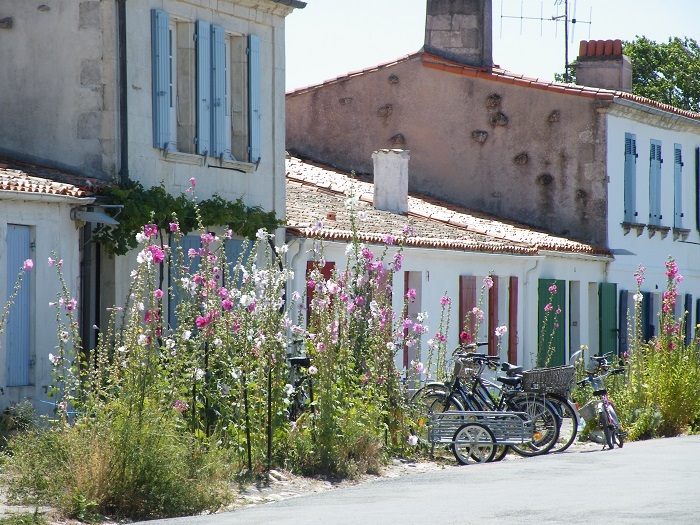 Île-d’Aix was also where Napoleon spent his last days on French soil after his defeat at Waterloo in 1815. He travelled to the Island with the intention of slipping past a Royal Navy blockade and escape to the USA however in the end he surrendered to the British Navy. The best beach on the island and the one you see in most of the photos of the ile d’aix is the Plage de l’anse de la croix. It’s a great sandy beach with safe bathing and two red and white lighthouses at the far end! In total there are seven official beaches on the island as well as several picturesque coves and small beaches which you can explore when wandering around the island. 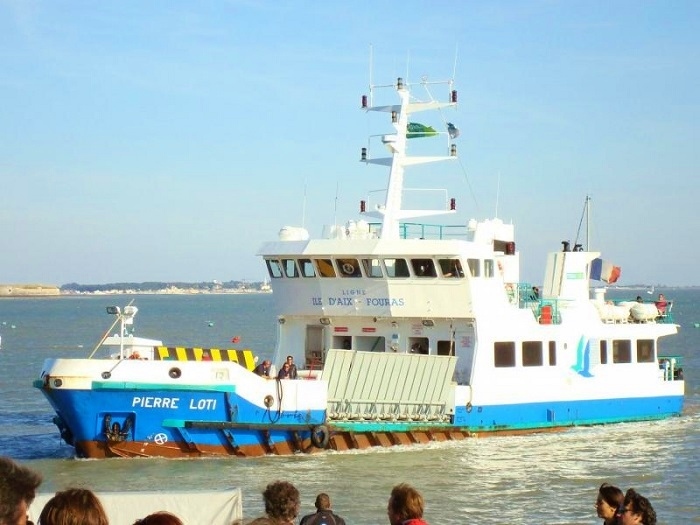 The ferries to the island run from Boayardville everyday and several different companies operate on the route, though you often need to pre-book the tickets especially in high season. 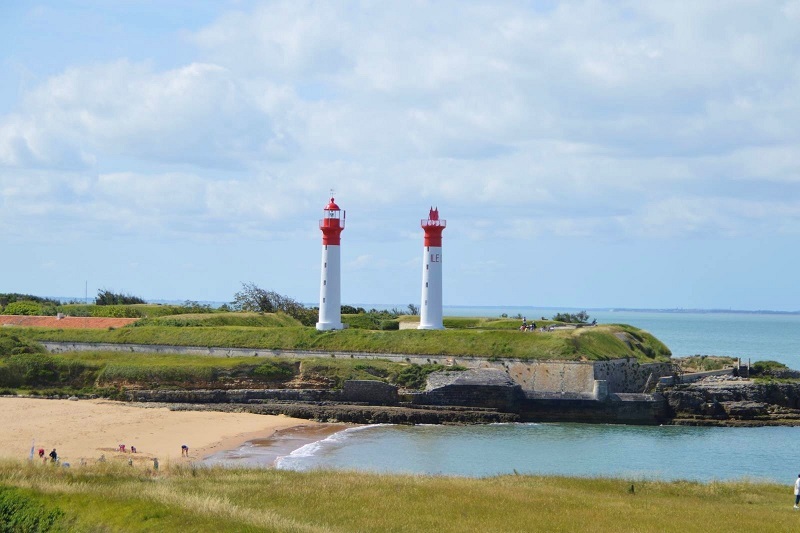 We are taking bookings for summer 2017…..send an email to info@thomasjamesholidays.co.uk or give us a ring on 01942 602104 if you fancy a holiday on the Ile d’Oleron and visiting the Île-d’Aix this summer!